Investigations are continuing after a teenager “could have been killed” when he was hit in the neck with a glass bottle in Mirfield. The 17-year-old was walking with friends on Huddersfield Road, near the former Swan Inn at around 11.30pm on Saturday when he was attacked. 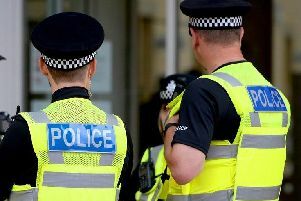 A 16-year-old boy, who was arrested on suspicion of causing grievous bodily harm with intent, has been released on police bail and detectives have appealed for any witnesses to get in touch. Det Insp Mark Truelove, of Kirkless CID, said: “This could well have been a fatal incident as the victim sustained serious neck injuries. “The victim had been with friends when they came across three other males walking in the other direction. There was some sort of altercation between the complainant, his friends and this other group resulting in the complainant receiving serious injuries, which we believed we caused by a glass bottle. Anyone who witnessed the incident or who has information is asked to contact Kirklees District CID via 101.